Accurate Red Samples for auditing the quality of water from Dental Units. 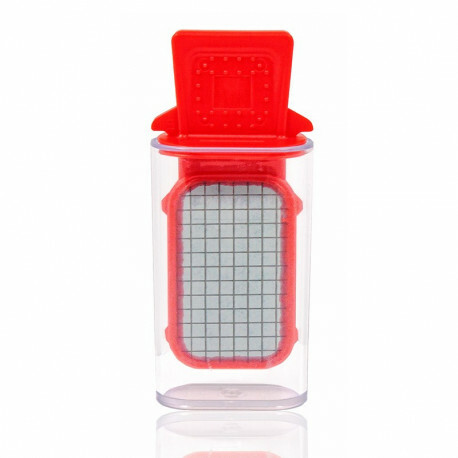 These Red Samplers are used for checking the quality of the water coming from your dental units. Clinical data shows them to be accurate to 1 cfu (Colony Forming Units). Samplers are simple to use, and are provided with full instructions. Take a water sample, wait 7 days and then count the dots that appear on the slide. This will provide you with a accurate reading of your water quality at a fraction of the cost of a traditional lab test. In a recent clinical trial the Red Samplers were compared to laboratory based industry standard TVC (Total Viable Count) as were shown to be as accurate. PLEASE NOTE: Agar based "Dip Slides" are not accurate enough to audit DUWL'S and so are specifically not approved under the HTM01-05. RED SAMPLERS being as accurate as TVC's are the method of choice when auditing Dental Unit waterlines. It does not matter what product you are testing. TVC's are approved under the HTM01-05. Only use Red Samplers when auditing your Dental Unit Water Quality. Water auditing that is as accurate as Lab tests at a fraction of the cost. Quick turnaround time at 1 week. Very easy to implement and use, full instructions provided.